While in Nashville recently, I spotted the Riverfront Condominiums along the Cumberland River just south of the Jefferson Street Bridge in the old stockyards area. From a distance, I thought that I had spotted a former fabrication shed, and I was right. Perhaps the recent demolition of much of the General Steel Casting foundry, with its magnificent sheds, in Granite City was on my mind. While lacking a river view, that complex was ripe for creative reuse. The Riverfront Condominiums utilize what was the main shed of the Kerrigan Iron Works (which was actually a steel fabricator, not a foundry). While the shed is not restored, it and a smokestack on the site were both incorporated into the redevelopment. 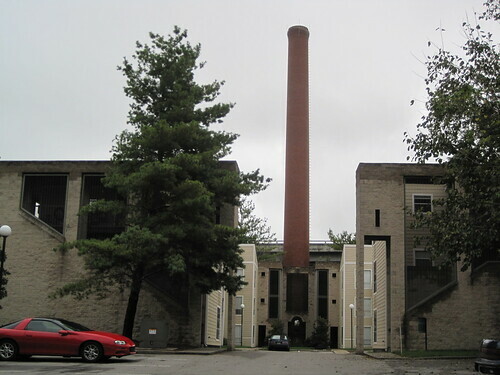 In 1985, a developer built new apartment buildings along the river and around the smokestack base, deciding to retain the industrial structures in the new project. Since the foundry sat back from the river, the main new building — converted into condominiums in the 1990s — is adjacent to the shed, not inside of it. 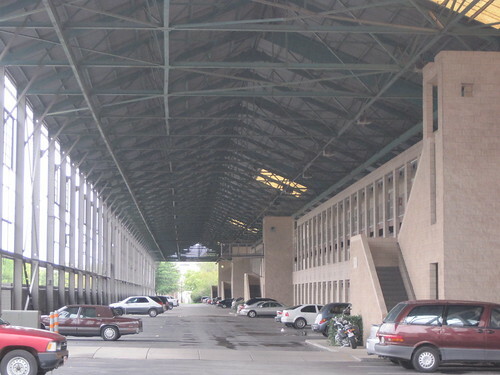 The shed is used as covered parking. Here is one flaw — this interesting covered space is the primary entrance into the condominiums, and it is used only for parking cars. There is not much decoration or lighting here. On the First Avenue North side, where one enters the project, the side wall was stripped of cladding with some steel window sash left in place. However, the impact is not as stunning a sit could be. Again, having the undershed area devoted only to parking mitigates the “wow” factor. The buildings around the smokestack, however, form a pleasant courtyard — again, mostly devoted to parking. 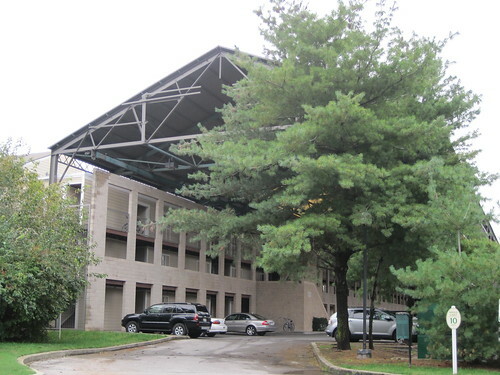 While the Riverfront Condominiums have a few design issues relating to placement of parking and approach, the actual living spaces on the river face are unique in Nashville. The developer who sought to retain the foundry shed and the smokestack did so with little incentive. There is no income tax in Tennessee and hence no state development tax credits. According to a local architectural consultant, development culture in Nashville long ago embraced creative contemporary design. 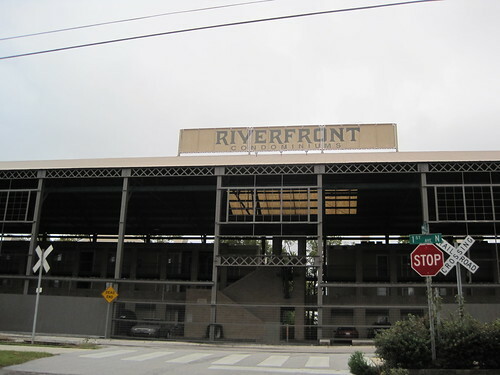 The Riverfront Condominiums, however imperfect, demonstrate that mindset. St. Louis developers dealing with industrial property should take heed. 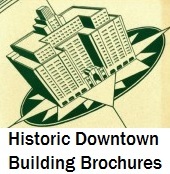 This entry was posted in Adaptive Reuse, Best Practices, Industrial Buildings, Nashville. Bookmark the permalink.